Floris Vanhoof (1982) is interested in the hybrid form of music, photography and film. His first projections, experimental films on 16 millimeter, evolve towards pure visual experiences in which he questions our viewing patterns. Inspired by structural film and early electronic music he makes audiovisual installations, expanded cinema performances and music releases. Vanhoof builds his own instruments to discover the border between image, light and sound. As a media-archeologist, he confronts the digital spoiled audience with flickering 16 mm films and 35mm slide installations, formats doomed to disappear. Purposefully he choses analog technology due to the greater transparency of the workflow and rich dynamic range. Regardless of nostalgia he experiments with what used to be hightech. Vanhoof searches for ways to make new images with old media. He makes his own translations from sound to image and vise versa, by connecting one medium on the -not always compatible- other. He’s especially curious to what his work elicits in the viewer. In 2015 received the price of the public at the Young Belgian Art Prize. At the request of Joris Van De Moortel, Floris Vanhoof will bring a performance dedicated to one of Bruegel's proverbs 'When the steed is stolen, the stable-door is locked in F'. Floris on his turn, invites two guests, the electronic genius Leo Kupper, who will introduce a new release at the age of 82 (!) and Charlemagne Palestine who will bring you to high spirits with his organ skills. 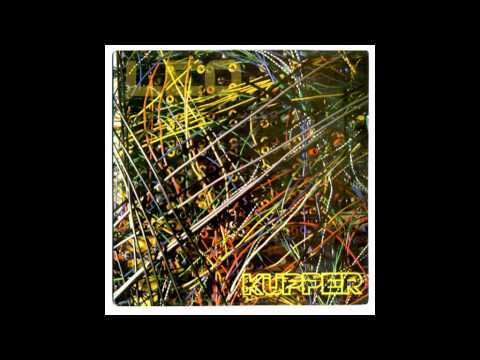 Belgian composer and theoretician Leo Kupper was born on April 16, 1935 in Nidrum. He worked with Henri Pousseur at the first electronic music studio in Belgium, Apelac (1959-62), and is founder and director of the "Studio de Recherches et de Structurations Electroniques Auditives" in Brussels (1967). He created Sound Domes in Roma, Linz, Venezia and Avignon (1977-87). In thirty years, he composed around 35 pieces of electronic music, vocal and instrumental music, midi and computer music and wrote about his own research in the field of phonetic and vocal music, musical machines and psycho-acoustics (space perception and diffusion). Leo Kupper is also a fine performer on the Persian santur - he studied with the famour santur player Hossein Malek in Tehran. 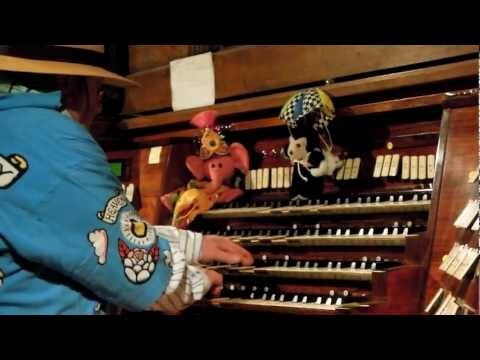 'Schlingen Blängen' is an open continuous sound form for pipe organs that Charlemagne Palestine began to develop in NYC at a Unitarian Church off Central Park in 1964. All pipe organs are unique in size, register and their dialogue with the architecture where they are installed. Every time he prepares a 'Schling', he pre-prepares a palette of different timbres that are chosen by their different registers, densities and overtone configurations in alignment with that particular organ and the building where it is installed. 'Schlings' have been as short as half an hour to as long as several days in duration over the last 50 years Palestine has been presenting them. Palestine presented 'Schlings' on unique organs all around the world, from the USA to Japan and from Australia to Brazil. It is Palestine's favourite continuous sound form. For him a pipe organ is an acoustic sonorous synthesizer that has already existed for centuries before the electronic synthesizer was developed. Due to the construction work currently being undertaken, KultuurKaffee has opted for a nomadic existence and, together with a guest curator, assembles twice a year a multidisciplinary programme of events at various locations dotted around the city of Brussels. During 6 weeks our guest curator works around a specific theme. He or she chooses different artists from several artistic fields to create and put together an impressive line up. Each time we search for a unique location in the heart of Brussels that harmonizes with the philosophy of the program. This spring artist and musician Joris Van De Moortel will be the guest curator of BANG! festival #5. Joris Van de Moortel will bring an ode to painter Pieter Paul Bruegel The Elder during BANG! The artist and his guests enter into dialogue with Bruegel's allegorical painting: “Twelve Proverbs” (1558-1560). Every evening is dedicated to the voicing of a proverb of Bruegel, this coupled to a different key.